InvestAmerica Capital Advisors provides EB-5 advisory services, comprehensive due-diligence, transaction, and support services to the highest quality of Regional Centers, Project Owners, Developers, and companies wishing to utilize EB-5 capital for growth and acquisition financing. We had such a wonderful experience with InvestAmerica. Like most of the investors, we were very careful in selecting projects. To date they have had 100% approval on their applications and they have early unexpected dividends. From the very beginning, it was a pleasure to work with InvestAmerica. They were prompt in response and patient in answering our questions. We were very impressed with their expertise and reputation in the field. Mike has been very helpful along the way! We also get quarterly updates about the projects and knowing it is doing so well and profitable just shows us what a good decision it was. I invested in an EB-5 eligible project with InvestAmerica in the summer of 2016, and have been thoroughly satisfied thus far. The pre-investment process was straightforward and the project was clearly explained, along with risks. Throughout the investment I have received regular updates on the project and its progress. My approval was delayed, however that was due to factors outside of their control (the government agency mislaid my file), however I did receive the I-526 approval approximately 20-22 months after the investment and have now moved on to the final stage of the whole process. Obviously I have yet to close the investment, however based on my experience so far I would have no hesitation recommending InvestAmerica for those people looking to move the US under the investor visa program. We are lucky enough to choose ‘InvestAmerica’ for our EB-5 Greencard. From our experience we felt these people are highly professional and ethical to guide us all throughout the process. Especially Dominick & Mike, they always had an ear for all our clarifications even during late nights on weekends. 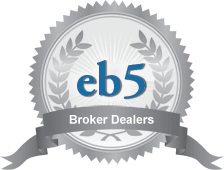 We would highly recommend ‘InvestAmerica’ to all aspiring EB-5 investors without hesitation. Thank you InvestAmerica for being a primary part of our ‘EB-5’ journey.